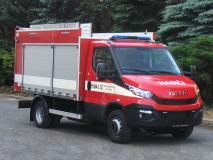 Hi, I making my first RC model, it's special firefighting vehicle on Mercedes Sprinter chassis. 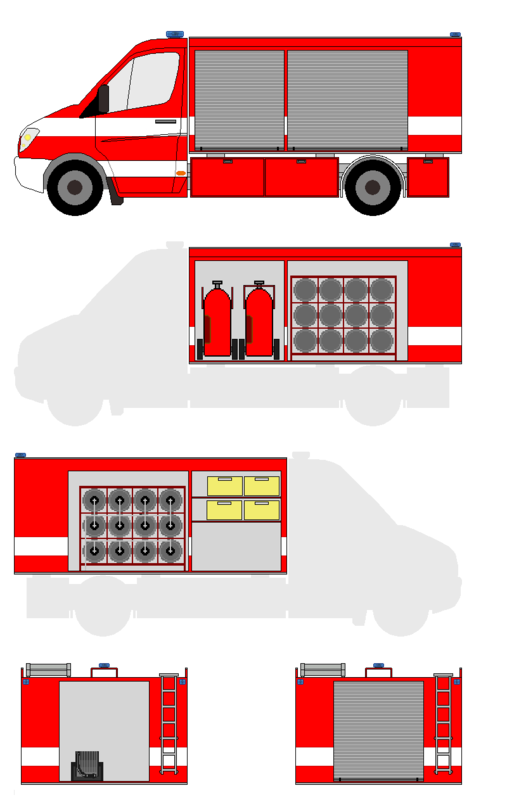 C02 fire truck is a special fire truck designed to carry a fire brigade crew and accessories for fire extinguishing operation using carbon dioxide, which is suitable for extinguishing electrical equipment under voltage, flammable liquids and gases. 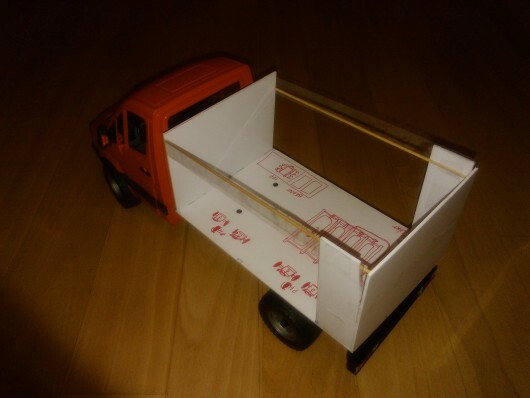 Model is based on MB Sprinter from Bruder with custom made chassis and parts from Killerbody lights, Axial radio control, Dsys regulator and few I don't know part. 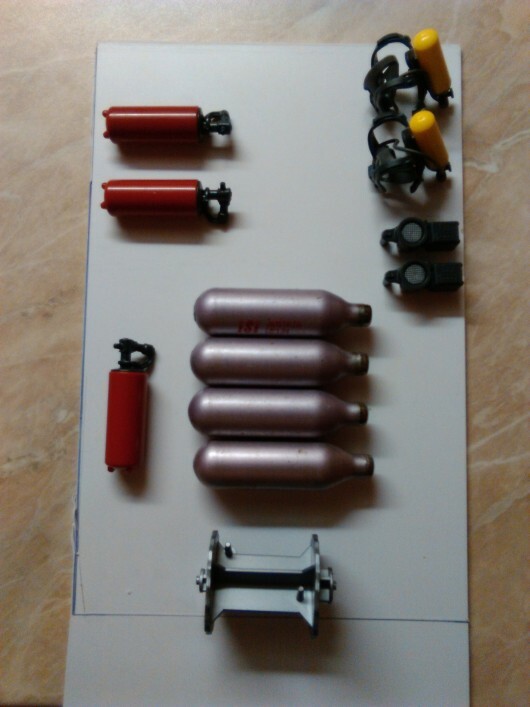 my dream is functional CO2 firefighting system in 1:16 scale. Nice one! 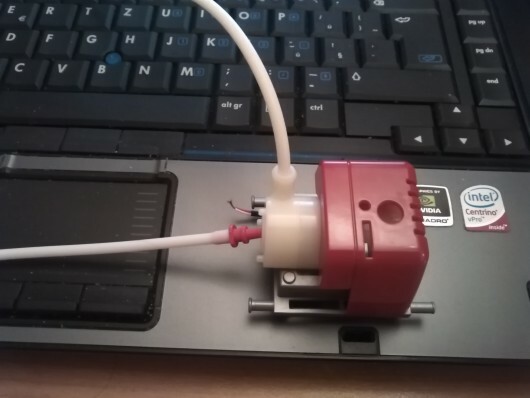 Can you tell me something about the model of the portable pump, you are using? Do you really want to use a two channel remote control ? The pump is for another model in my Fire Department, I making full working pump with real suction hose, supply and attack hose line and operators panel. The two channel remote control I received with the chassis, but later will be replaced. I now looking for 6-8CH Remote control, model will need more channels for Lights, siren, etc. Mila, ich wurde sagen kauf eine Spectrum DX6i. Der hat 6 kan, ist Preisgunstig zu kaufen und mit CTI Schaltbausteinen kann mann bei viele Klein Modelle 12 Funktionen schalten. 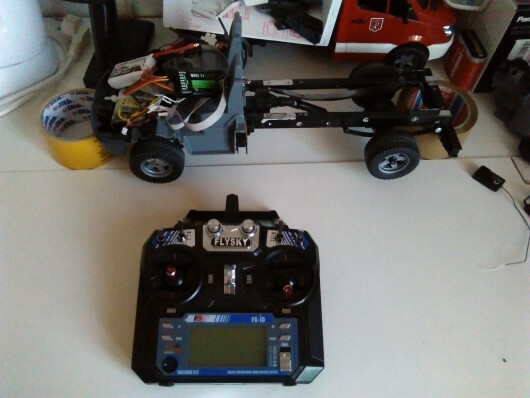 Empfanger sind sehr billig zu kaufen bei Hobbyking Der Spectrum hat das Vortiel das es Modell-Match hat. 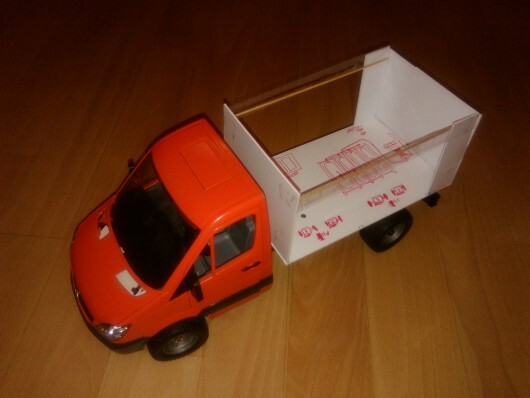 Du kannst mit einen Sender mehrere Modellen fahren. Wen dus es auf Deutsch nicht verstehst kann ich es dir auch erkleren in English. I have some tips with FLY SKY FS-I6 with 6channel. 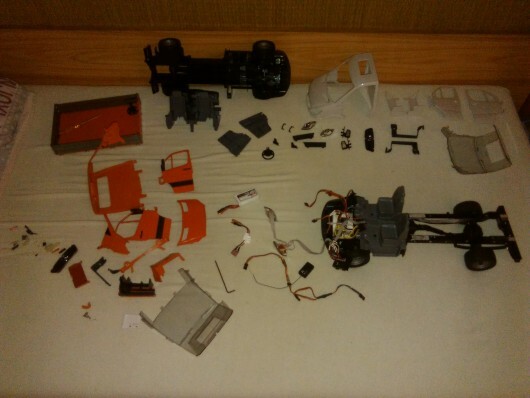 Preparation for remake the rear light and the painting process, but orange cab during disassembling from chassis suffered serious irreversibly damage. In the next few days will be replaced by another cab which is now in production. The new Remote control is home and car or intervention rather have only his dismantled chassis rides again. And little look at my temporary improvised "workshop", the main part of which is used for assembly as well as warehouse for dismantled parts. It's always interesting to have a look into the kitchens of other people. There are already parts for the next project to see? 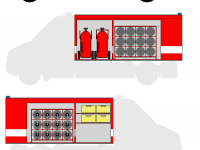 Crew cabin for a Mercedes Sprinter? 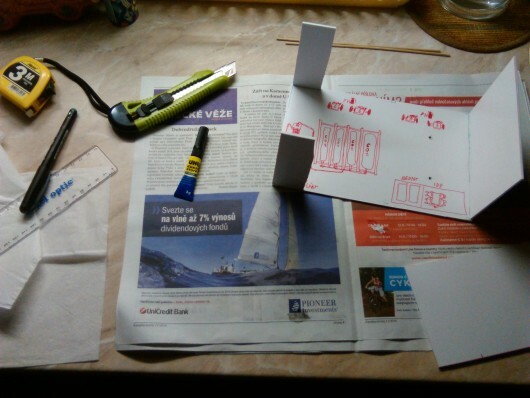 And under the table, there are already parts in preparation for the construction of a fire station? Have you already a first impression of the flysky? Model is looking fine, keep it going. You looking on model or my workshop in kitchen ? 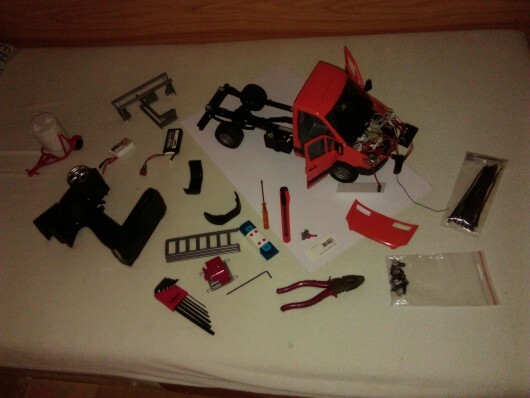 There are parts from Scania, three MB sprinter, parts for actual rc project and auxiliary frame with pump unit from MB Actros. Yes, this is first 3D printed prototype of crew cabin, prepared for second MB sprinter, first is PLHA, second is RZA. Under the "table" is fridge and various empty boxes, not parts for construction of a fire station. 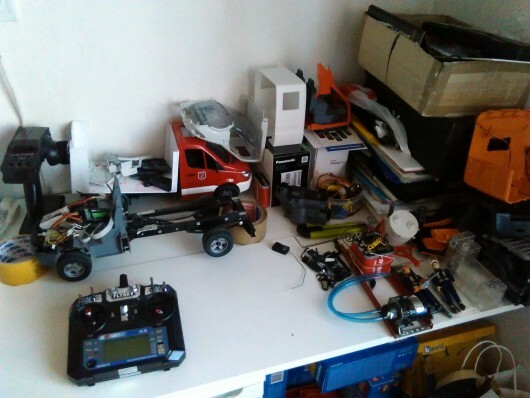 Flysky is my first "profi" remote control, previous RC was used 2Ch Axial, on the background and few RC from toys. Still a lot to do. But who wants to be bored? What is the item number of the crew cabin 3D-print and where can i order it? I hope you will write a detailed report. Hello TruckDoc, my name is Mila, not Mika. Crew cab on the MB sprinter is custom made from free 3D model, found on one website, I don't know name of the free 3D models website, model has been found by member of the 3D printing company in our republic. I comunicate by email with him, I sent the ideas and photos, he sent list of things needs for 3D print. etc. If you want the same cab as mine you must contact the 3D printing company. Something like that happens when you do not control the autocorrection programm. Thank you for the informations.